When will be First In Human: The Trials of Building 10 next episode air date? Is First In Human: The Trials of Building 10 renewed or cancelled? Where to countdown First In Human: The Trials of Building 10 air dates? Is First In Human: The Trials of Building 10 worth watching? 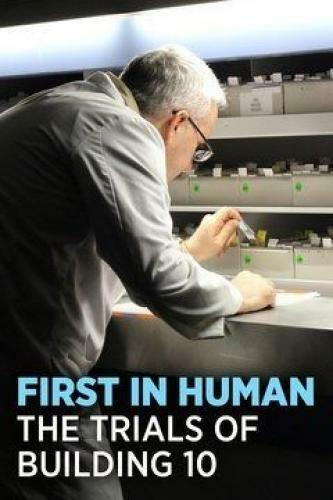 First In Human: The Trials of Building 10 explores the lives of the doctors, researchers, and patients who together make progress possible in this cutting-edge testing ground. The docuseries represents the first time cameras have embedded in Building 10 and followed first in human patients throughout their entire trial. The Big Bang Theory's Jim Parsons will narrate this ground breaking new documentary series. Four patients with serious illness arrive at the NIH's Building 10 to enter potentially groundbreaking clinical trials and rest their hopes on the brilliant minds that work there. While Bo Cooper recovers from a near-death experience, Anita McAlister weighs her treatment options. Patients Lucy Wiese and Deidra Williams receive highly experimental bone marrow transplants. First In Human: The Trials of Building 10 next episode air date provides TVMaze for you. EpisoDate.com is your TV show guide to Countdown First In Human: The Trials of Building 10 Episode Air Dates and to stay in touch with First In Human: The Trials of Building 10 next episode Air Date and your others favorite TV Shows. Add the shows you like to a "Watchlist" and let the site take it from there.